Give Keystone XL The Boot March - Give Keystone XL The Boot March in Lincoln, Nebraska. Aug 6, 2017. In November 2017 Nebraska approves Keystone XL 'Alternative Mainland' Route despite 210,000 Gallon Oil Spill from the Keystone Pipeline In South Dakota days before. There are mixed opinions about the decision, as even with the approval of the alternative route, TransCanada and those in support of the Keystone XL pipeline are well aware that the fight against the project is not over . Some opposition groups, including the Bold Nebraska Alliance, see the approval of the alternative pipeline as a partial victory, as a number of Nebraskan landowners, farmers and ranchers are now no longer in the path of the proposed route, and opposition groups have renewed their commitment to continue fighting the project . Furthermore, environmentalists are already calling for more environmental impact assessments, and there is a potential for new challenges against the pipeline from landowners that now find themselves in the path of the newly approved alternative route, which would further delay construction . This pipeline system aims to transport oil sands bitumen from Canada and the northern United States primarily to refineries in the Gulf Coast of Texas. The pipeline will affect indigenous peoples and their sacred lands, specifically the waters and land they depend on for their survival. It also affects farmers and ranchers. President Obama rejected it but Congress kept pushing it with various new legislation. Ever since the pipeline was proposed by TransCanada, it has faced strong opposition from environmental justice groups in both Canada and the United States of America. Although the project has support in the Nebraskan State Legislature, legal challenges and lobbying by opposition groups had stopped the pipeline from entering the state. In 2011, a coalition of landowners and environmentalists called the Bold Nebraska Alliance, successfully lobbied to give the right to the PSC to regulate pipelines in the state of Nebraska . Prior to the actions of the Bold Alliance, Nebraska had no regulations or state agency to govern pipelines . However, in a set back for the Bold Alliance, a TransCanada backed legislation was created a year later to give the Governor, Dave Heinemann, the right to approve pipelines . The Bold Alliance then filed a lawsuit which went to the State Supreme Court, and in a decision in 2015, seven justices sided with Bold, with three absenting from voting. Unfortunately, to overturn the statute granting the right of alternative approval to the governor, the Bold Alliance needed a 5-2 majority, so the decision was more of a moral victory than anything else . Tribal Attorneys have also argued that TransCanada had failed to properly consult with Tribes about the project, and did not survey the Trail of Tears, or other sacred sites in the path of Keystone XL for important cultural sites or artefacts . Project Details The Keystone XL pipeline is a proposed 36-inch-diameter crude oil pipeline. Covering a total distance of 1,897km from Hardisty, Alberta, to Steele City, Nebraska, USA, the pipeline has the potential to carry 830,000 barrels of oil per day . Keystone XL would mostly carry Canadian crude extracted from the oil fields in northern Alberta, in order to more easily bring Canadian oil to the refineries along the Gulf Coast; however, it will also carry some, albeit a comparably smaller amount, of oil extracted in the United States . The pipeline would cross parts of Montana, South Dakota, and Nebraska, and would connect to the Keystone pipeline which is already operational and runs through North Dakota, South Dakota, Nebraska, Oklahoma, Texas, Missouri and Illinois . The Estimated Affected Population is difficult to determine as there is not a list of the amount of farms, ranches, communities or tribes in its path. The estimate given here (1710 persons) is a conservative one that is based on the 90 farmers/ranchers who have refused to sell their land to TransCanada; and of the registered members of the Ponca Tribe in Nebraska, who reside in the fifteen-county Ponca Service Delivery Area. However, the affected population can be much higher as there are roughly 4'100 enrolled members in the Ponca Tribe worldwide , and the new alternative route places other landowners in the state in the path of the pipeline. 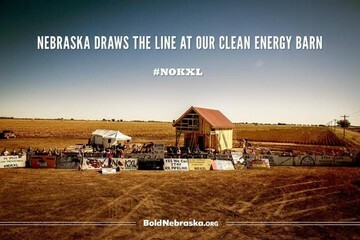 Development of Alternatives The Solar XL Project is a campaign to build solar panels in the path of the Keystone XL pipeline as a form of resistance, and to show the contrast between clean renewable energy and dirty energy . For more information on this project see the youtube video produced by 350.org in the Sources and Materials Section. Why? Explain briefly. It is hard to say whether or not environmental justice has been served. The alternative route might divert the pipeline from those who were originally in its path; however, new landowners now find themselves in its path. Also, the alternative route still crosses the sensitive environmental area of the Nebraska Sandhills, and the vital Ogallala aquifer. Those who have managed to divert the pipeline away from their land might consider this a victory; however, it is difficult to call this a victory for the environmental justice movement until this pipeline is dead once and for all. Haavardsrud, Paul. 2017. “Keystone XL clears final hurdle only to see more hurdles”. Canadian Broadcasting Company. CBC. 2017. 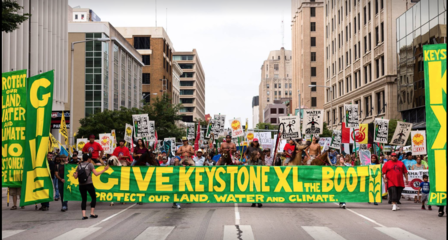 “Nebraska Oks ‘alternative route’ for Keystone XL pipeline” Canadian Broadcasting Company. Elbein, Saul. 2017. 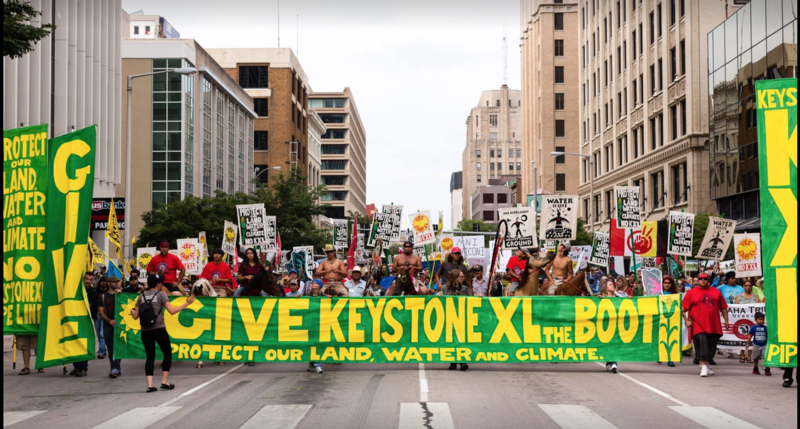 “The Keystone XL Pipeline Fight is Not Over Yet” Rolling Stone Magazine. Hefflinger, Mark. 2017. 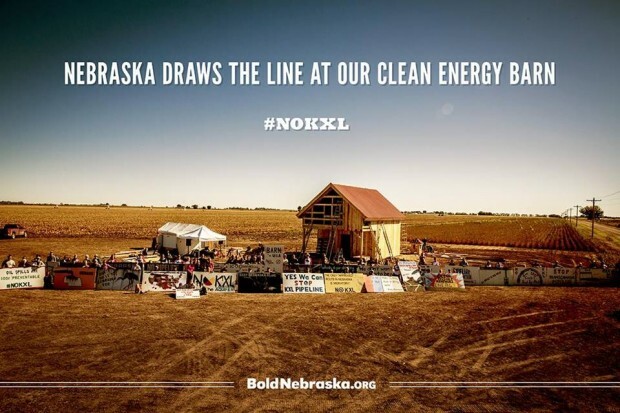 “Landowners, Bold Alliance and Sierra Club Argue Keystone XL Not in the Public Interest in Closing Briefs to Public Service Commission.” Bold Nebraska. Ponca Tribe. 2017. "Ponca Tribe Culture and History." Hammel, Paul .2017. 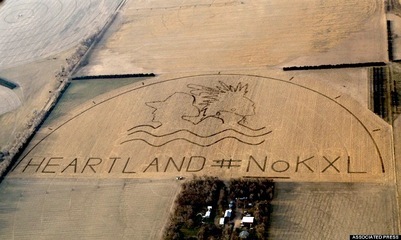 "Nebraska PSC grants landowners' request, sets hearing over next steps on Keystone XL pipeline." Omaha-World Herald. Give Keystone XL The Boot March Give Keystone XL The Boot March in Lincoln, Nebraska. Aug 6, 2017. Other Comments In November 2017, "An independent, five-person panel voted to approve an alternative route for TransCanada’s Keystone XL pipeline ... But the decision to approve an alternative route for the pipeline, rather than TransCanada’s preferred route, could open up a new set of issues for the Canadian energy company, which may need to reapply for permits with the Bureau of Land Management and Army Corps of Engineers, as well as potentially obtain a new review from the State Department".